You need to pick a theme. So many themes so little time. How about hitting the Grosh Theme page to start your juices flowing. //www.grosh.com/themes/ We have over 70 themes to choose from. Now you know your theme. Time to pick out the perfect backdrop. Check out our latest backdrops //www.grosh.com/new/ We add over 200 new backdrops every year. You know you can find the perfect backdrop to set your scene whether it be western, beach party bingo or Great Gatsby. Budget? Yes we can help there too. Check out our great summer sale. Yes, you can save money by not having to pay ground shipping. Your savings don’t stop there you also get a $100 off of our latest pop-up drops. What are pop-up drops you ask? Pop-up drops are a stunning backdrop that will create the ideal ambiance for party selfies, and corporate, church or school events in only a few minutes without busting the budget. The solution everyone has been looking for in a portable backdrop. Give our customer service staff a call and they will do all they can to find you even more savings this summer. 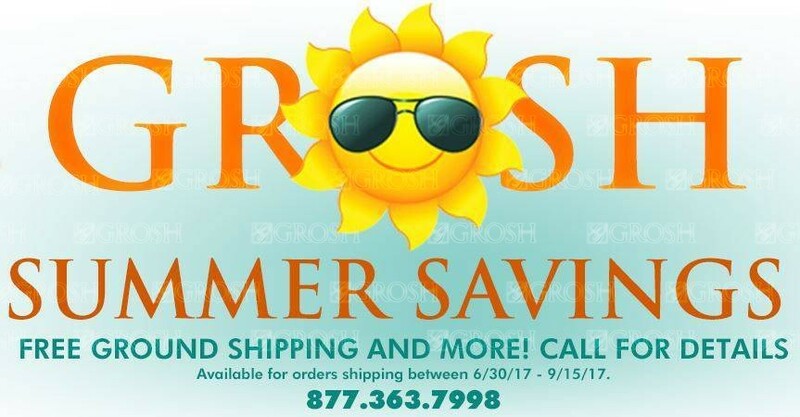 Here at Grosh, we plan on staying cool and helping you with your next event. We look forward to talking with you soon. (877) 363-7998.